Prestwick House's writing and grammar teaching programs are easy for teachers to integrate into their curriculum, allowing them to see results quickly. 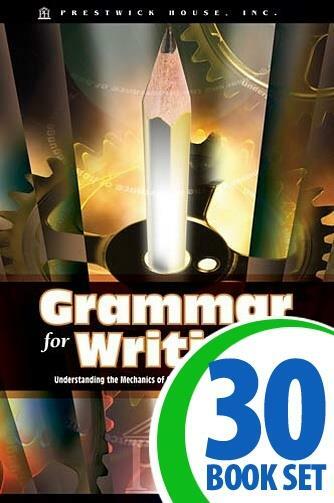 Grammar for Writing is a ready-to-use, hands-on guide filled with reproducible activities and instruction giving students the practice they need to remember these rules for life. This book goes beyond the traditional prescriptive methods to help students quickly develop a deep understanding of why these rules are important and how language works. 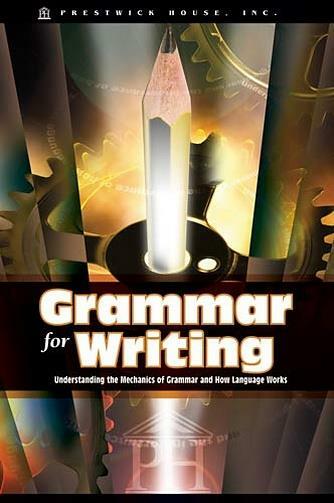 Grammar for Writing follows the “descriptivist” approach to teaching — showing your students the logic behind the rules. When your students really understand how and why language works, their newly acquired language skills will naturally improve their writing.